Allergy Relief Through Chiropractic Care? The next time you sneeze, it may be a good time to visit a chiropractor. Yes, a chiropractor. Most people never think about it, but chiropractic care can help provide allergy relief. That’s because chiropractic care, often thought necessary for only back and neck problems, can help with keeping the body operating at peak performance. The body’s immune system helps with preventing disease and infection, dealing with stress and overall well-being. The immune system also tackles the invasion in a body of foreign substances such as pollution, dust, dead cells, etc. Current research is showing that there is a direct link between the nervous system and the immune system. Chiropractors remove nerve interference and allow the immune system to work optimally. Fail to recognize and remove abnormal cells such as those that are cancerous. Be unable to fight infections. Overreact to things such as bee stings, penicillin, certain foods, pollen etc. Become depressed making you more vulnerable to disease. Allergic reactions are the most frequent immune disorders and happen when the body’s immune system overreacts to allergens such as dust, pollen, pet dander, golden rod, and ragweed etc. The response is that the body overproduces neutralizing chemicals such as histamines to correct the problem. No one knows for sure. The idea here is our immune system is at its best when fighting off disease, parasites, and bacteria all by itself. The more we try and help it, the weaker it becomes. It is proven that children who live on farms and are exposed to different animals and the outdoors have fewer allergies than those who are not exposed. 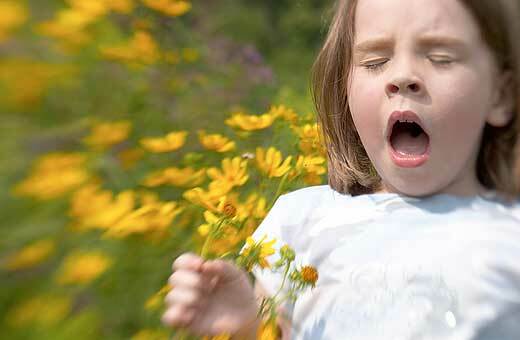 Traditional allergy treatments only deal with the symptom without addressing the cause. This is because western medicine has no cure for allergies. Worse yet, antihistamines used over time or combined with other medication can be deadly. But just how can chiropractors help with such problems? The answer is simple, when we adjust the spine; we allow the spinal cord to properly send messages throughout the rest of the body using the nervous system. Essentially it allows the brain to breathe life down to the rest of the body. Studies show that the immune system is a direct extension of the nervous system, so when the misalignment is removed, the immune system can operate at its best! Know someone who suffers from allergies? Stop letting them suffer and ask Joel or Dr. Brad for a compassion card! Hanging with the RIGHT crowd!